Let’s not overestimate the influence of the US. The rest of the world can stand up for progress. All around the world fewer women are dying in childbirth than they used to. Since 1990, the maternal mortality rate has almost halved. We are making progress. But this is jeopardised by the Global Gag Rule, reinstated by Donald Trump as one of his first acts as president. By restricting funding to NGOs that support women’s to access abortion and family planning, more women are at risk of death and injury. The impact is not only on the finances of NGOs doing important work. US Republicans are undermining a hard-won but fragile consensus, without which progress slides backwards. Those who disapprove of abortion may reference American dissent to legitimise their own positions. I witnessed this argument in Zambia when observing parliamentary workshops on abortion. Opponents often sought to strengthen their moral authority by highlighting widespread resistance, such as from dissident countries and the Bible. That said, the international influence of the US Republican Party should not be overstated. In my research on maternal health in Zambia, I found that policymakers were more interested in what was happening in African countries than in directives from Washington DC or New York. As part of the Millennium Development Goal process, there was regular benchmarking of country progress in reducing maternal mortality. Around 2006, Zambian politicians and senior civil servants in the Ministry of Health noticed that Zambia was lagging behind other African countries. A senior manager in the ministry told me that having the same maternal mortality rates as conflict-hit states was “a place of shame” for a stable country. Such reputational concerns appear to have fostered greater support for maternal health within the Ministry of Health (and rapid subsequent progress). This is consistent with wider research showing that people are more likely to conform to the norms of a group with which they identify. But such progress is vulnerable. Although abortion is currently legal in Zambia, there were recent efforts to criminalise it through constitutional reform. Health Minister Joseph Kasonde came out to openly support abortion: sending a clear signal to the public. However, onward progress cannot be taken for granted. Encouragingly, exactly a year ago the African Union launched a campaign to decriminalise abortion, which is still outlawed in 25 African countries. This concerted effort follows Mozambique’s decriminalisation of abortion. So all is not lost. But additional financing is needed to make up for monies withdrawn by the Trump administration. In 2006, the UK government urged the US government to reverse its restrictions, and further pledged £3m for the Global Safe Abortion Programme, in response to President George W. Bush’s imposition of the Global Gag Rule. Today, the government of the Netherlands, in coalition with others, plans to set up an an international abortion fund to plug the gaps created by Trump’s reinstatement of the Rule, which had been rescinded by the Obama administration. As Dutch Minister Ploumen emphasises, “It’s important to have the broadest possible support for the fund”. By reaffirming their commitments, the African Union, co-operating partners, public health champions and feminist networks might collectively galvanise onward progress. Public expressions of support from African governments are just as important as Western financing. While such public statements do risk antagonising the US administration (and may explain the UK government’s current silence), the alternative of quiet diplomacy risks reinforcing norm perceptions that abortion is unsupported. Such norm perceptions are harmful, curbing use and support for abortion services. Over the next four years, progressive governments will doubtless face many challenges, as they try to productively engage with the new administration in the US. The global politics of abortion is just an early test for the resistance. 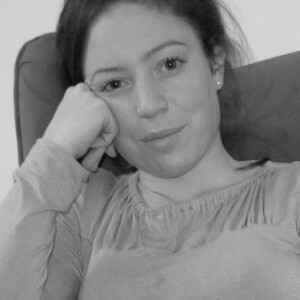 Alice Evans is a lecturer in Human Geography at the University of Cambridge. Follow her on Twitter.